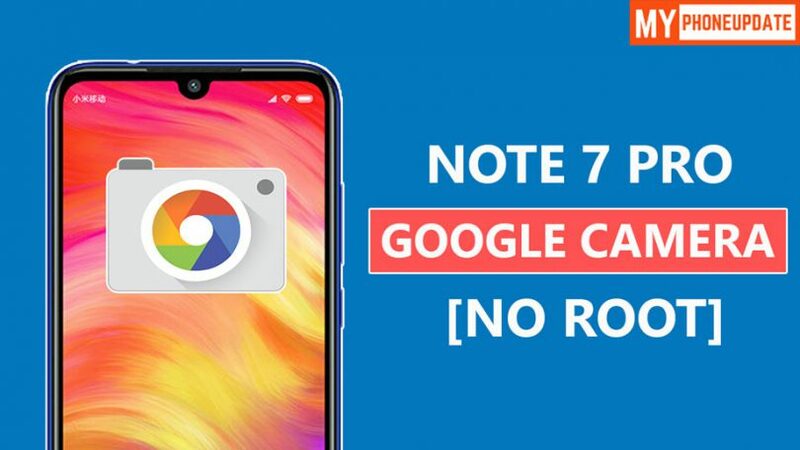 Hey, there today I have come with an amazing tutorial on How To Install Google Camera On Redmi Note 7 Pro. So, If you are interested to Install GCam then this guide is for you. The best part of this guide is that you do not need to Root or Unlock the Bootloader of your device in order to install google camera. This phone comes with a 6.3 Inches Dot Notch Full HD Plus Display. It has a premium glass-like finish on the back, Redmi Note 7 Pro also comes with a new design with a much smaller notch also the key highlighting feature is the new Aura design. You get a 2.5 D curved Gorilla Glass 5 protection on both sides of the device. Note 7 Pro is powered by the powerful Snapdragon 675 Chipset which is an Octa Core CPU. This phone offers an amazing 48 MP with Sony IMX 586 Sensor. Now, this is one of the most emphasis features of the Redmi Note 7 Pro. At the front, we get a 13MP Camera camera with f/2.0 aperture. The phone is available in three colors Space Black, Nebula Red, and Neptune Blue. I have recently installed google camera on my Redmi Note 7 Pro and I must say the quantity was amazing. If you compare with the Stock Camera, Google Camera will be the winner. The photos come crisp and have a lot more details as compared to Stock Camera. If you have purchased this device then you must try GCam on your device. Make Sure To Bookmark This Page Because I Will Update More Build’s Of Google Camera (GCam). As you know that Camera 2 API comes pre-enabled on Redmi Note 7 Pro. That’s means you don’t need to Root or Unlock The Bootloader of your phone. As I already said to Bookmark this page. Many features are not working in this Google Camera App. Portrait Mode is not working. So, don’t worry, Once developers fix this issue I will update this article soon. Final Words: So, this is all about Install GCam On Redmi Note 7 Pro. If you get any type of errors while using GCam On Redmi Note 7 Pro then make sure to comment down below. This will help us to fix the issue.